Rock School is gearing up for spring! 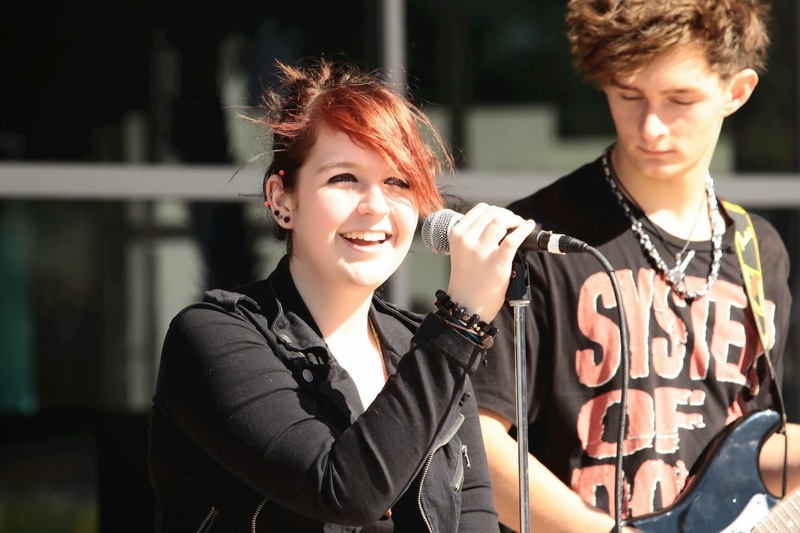 The Patel Conservatory’s Rock School program will host a free workshop in January. 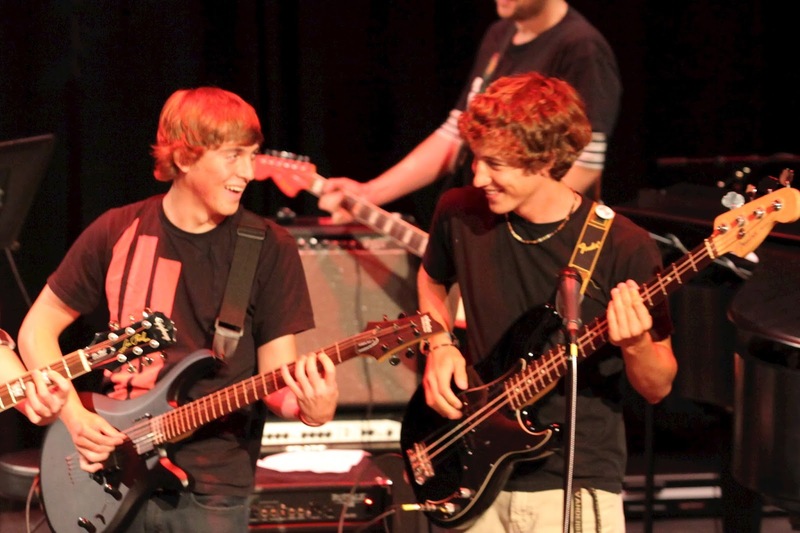 In Rock School, students are put into bands based on instrument, musical tastes and age, then work with instructors who show them how to really rock out! Students who participate in our workshop will get the opportunity to work with professional musicians, Dean Tidey and Paul Stoddart, and vocal coach Deborah Lynch. Tidey, who has a publishing deal with George Martin Music, writes, produces and plays guitar for the Muddy Apes. Previously, Tidey played guitar for ten years with the acclaimed English rock band, Feeder. Stoddart has taught guitar and music theory/arrangement/songwriting for more than two decades. He has played in, written for and arranged music for several bands around the country and plays tours throughout the Tampa Bay area with his four piece ensemble. Lynch served as a music director, accompanist, vocal coach and performer in Richmond, Va. before moving to Tampa and joining the Patel Conservatory as the staff accompanist. Among many other things, she has taught high school chorus, was a soloist for The Cathedral of the Sacred Heart in their masterworks concerts with the Richmond Symphony, and has assisted with District Chorus festivals. The free workshop will be Jan. 4 at 11 a.m. To RSVP, please call 813.222.1002. Following the workshop, students will be able to audition for the spring Rock School program. Auditions allow instructors to place students in bands appropriate for their age and skill levels. Sat., Jan. 4, from noon-1 p.m. Mon., Jan. 6, from 5-7 p.m.
Tues., Jan. 7, from 6-8 p.m. There is a $15 audition fee. Instruments and cords are required. A drum set, amps and keyboards will be provided. Vocalists can now audition without an instrument. Returning Rock School students do not need to audition but there is a $10 returning student fee. If you were in the spring or summer Rock School session, please fill out the Returning Student Form. For more information or to RSVP for an audition, please e-mail music@strazcenter.org, or call 813.222.1002.